You have your book ready to go and its published and selling. Then-nothing. This nothing is attributed to the fact that your books are now missing from Amazon’s platform! What do you do? How can you continue to market yourself and find sales channels without wholeheartedly relying on one platform for sales? 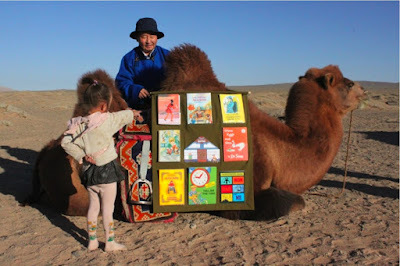 Pic The Library Camel of the Gobi Desert./imgur pic I couldn’t resist… you can check out Green Eggs and Ham in the Gobi. Theodore would be tickled pink over that! Authors talk to each other. (Odd, I know.) When the author community found out the problem wasn’t being fixed and wasn’t isolated geographically the screams were heard around the world. The heavy hitters in the Indie community called their Amazon Reps. Amazon is on it… so they say…. While Amazon was feeling the wrath of the authors…on the other side of the business, the booksellers were spitting like camels over changes to the Used and Rare book section. Suddenly booksellers were pulling their catalogues from ABE Books (rare and out of print booksellers owned by Amazon.) The issue was one of justice to the small bookshops in Africa. And Amazon caved. Meanwhile, the publishing community is looking sideways at new conventions proposed by the EU and South Africa. Plan S has many worried about I.P. and how much it will count when changes are made to the ‘Fair Use’ guidelines. The accepted practice is restricted to Research, News, Teaching, Parody and only a limited amount at that. Publishers are already warning South Africa that their changes could contravene the Berne Convention. While the publishers get set to fight for their IP rights there is another crisis looming. The shortage of paper is driving up the price of print. This could be another straw on the printed book camel. Public Service Announcement: If you have published on Createspace you may want to check your accounts. Hackers have got in. Last week I was a virtual fly on the wall at a huge conference in Las Vegas. Meanwhile, Joanna Penn was attending the Independent Author conference. She shares her takeaways and lessons learned from this dynamic conference. Even if you are traditionally published, have an agent… etc. etc… it pays to keep an eye on the indie author world. Often they are responding to changes much faster than traditional publishers. Forewarned is always a good thing. Plotting a novel when you haven’t figured out the details-Janice Hardy !! The weird things people say to authors and what you can say in reply. This post strikes a chord with every writer I know. As we come up to the holiday season and the Christmas party round is about to begin. Store up some of these comebacks for the inevitable clueless questions from family and acquaintances. I am guest posting over at Jami Gold’s blog this week if you want to drop in and read an article on leveling up your writing.